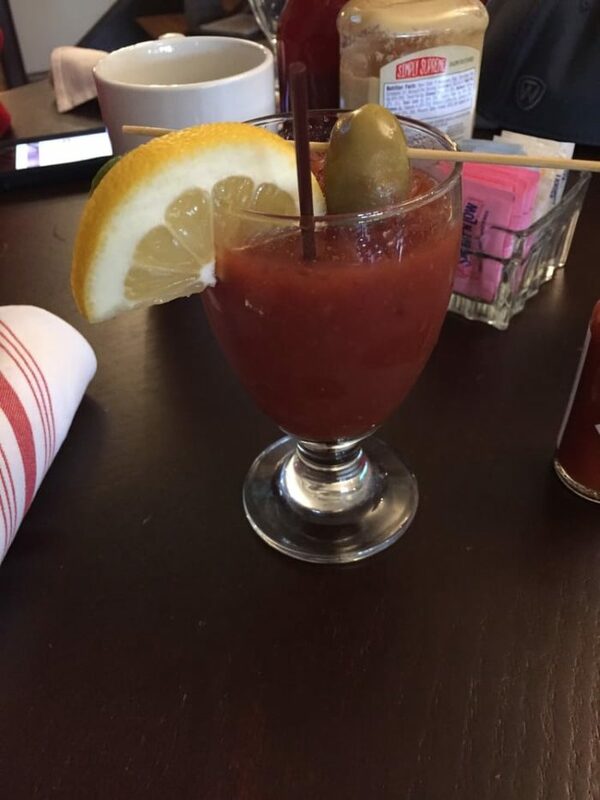 Runny eggs, crispy bacon, buttery toast… I’m missing something… a Bloody Mary! It’s hard to deny that a Bloody Mary is the perfect finishing touch to a scrumptious brunch meal. We all like our Marys prepared a little differently: heavier on the worcestershire, heavier on the lemon, extra olives, extra jalapenos. 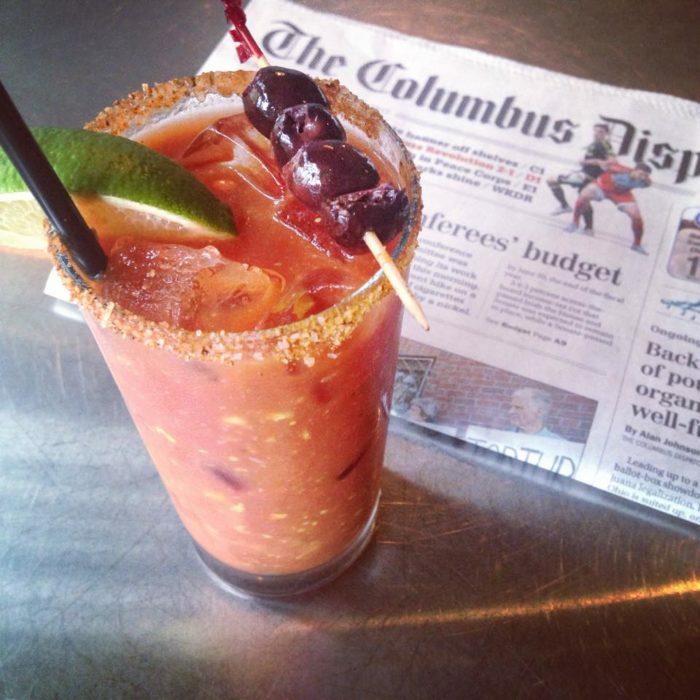 Luckily, there are plenty of restaurants in Columbus that will dazzle you with the most delicious Bloody Marys you’ve ever had. Check them out! Staring at 11:00 am on Saturdays and Sundays, you’ll find a spectacular brunch menu at Standard Hall. Enjoy diner favorites like Breakfast Pizza and Cheddar Biscuit and Chorizo Gravy. 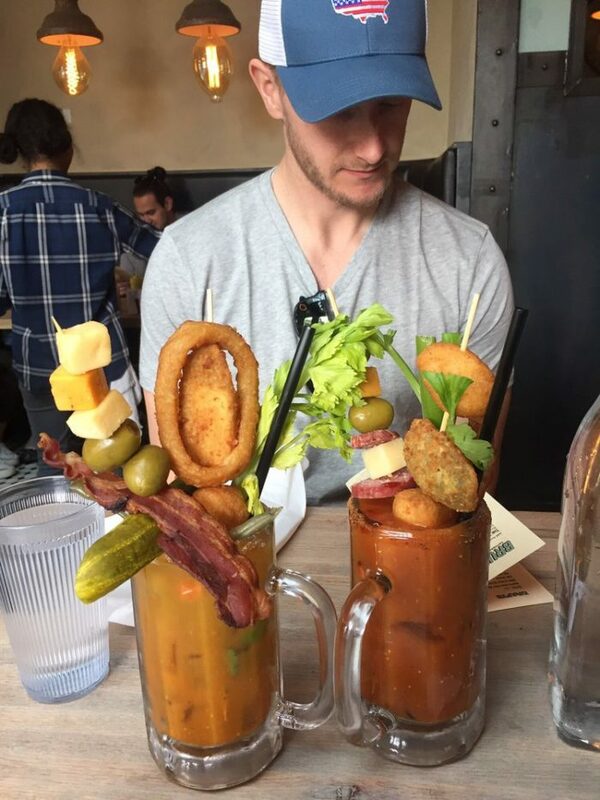 That is, if you’ll even need the food after you eat all the toppings on your build-your-own Bloody Mary! The staff here is great at guiding your through the Mary making process and let you taste everything before you commit to it. Stack it up high! 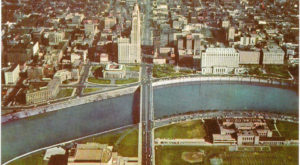 Standard Hall is located at 1100 N High St., Columbus, OH 43201. 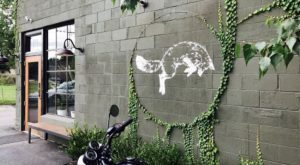 Another fantastic brunch destination is Philco Bar+Diner. 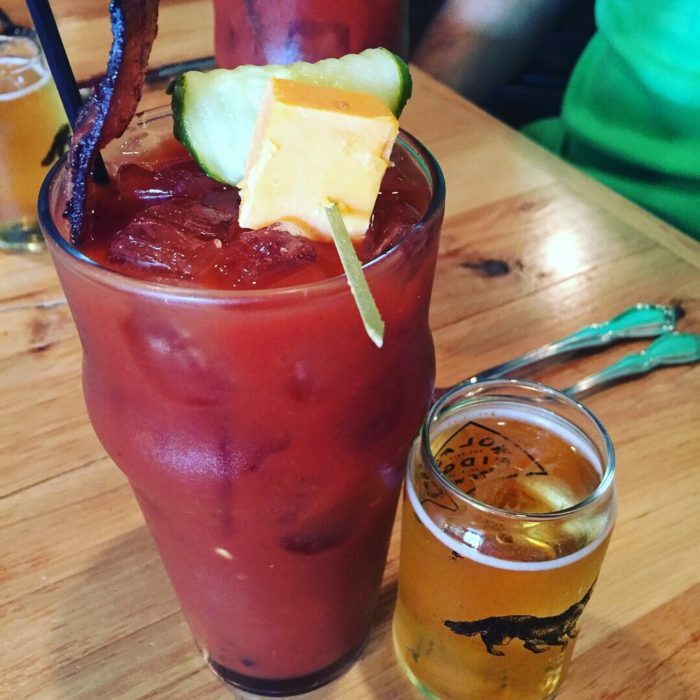 Whether you’re craving Breakfast Biscuits, Fried Egg Tacos, of Baked Grits, you will love your brunch here with Philco's delicious Bloody Mary. 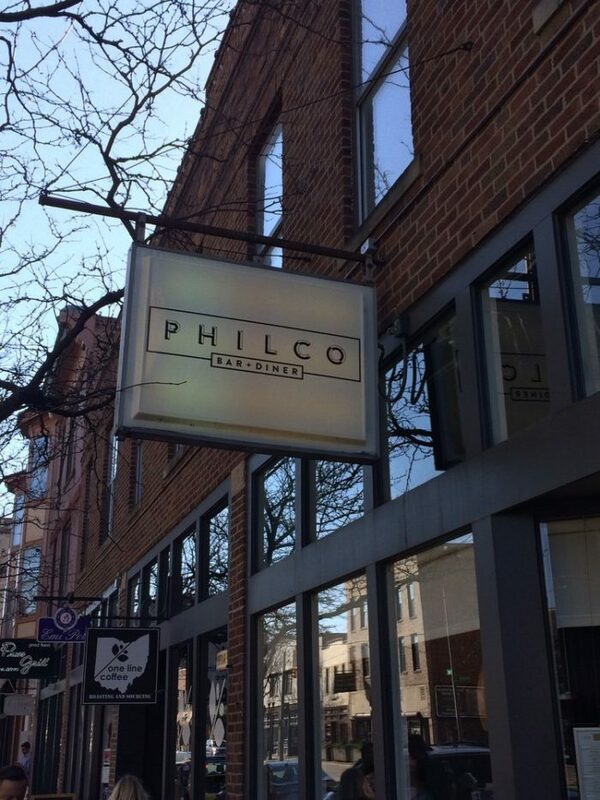 Philco offers you the most local variety of the beverage, with a base of Watershed (Columbus distilled) Vodka. 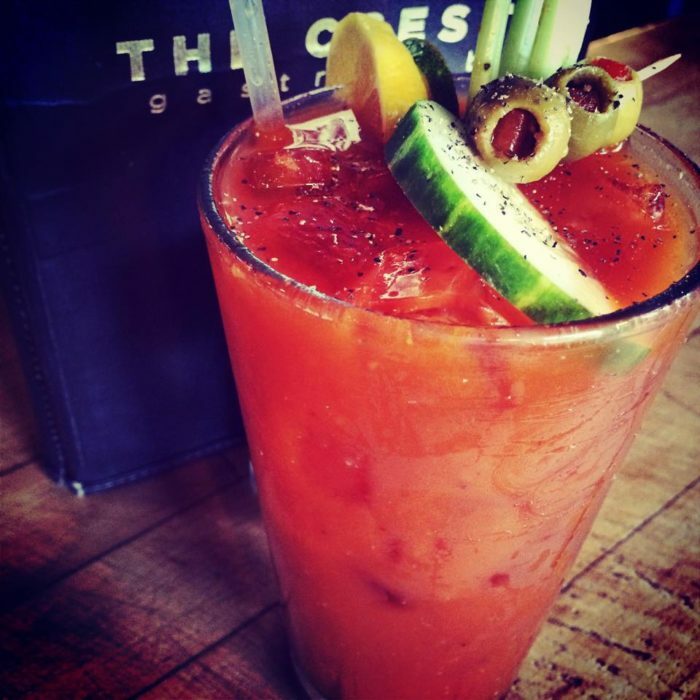 It's topped with taggiasca olives, which add even more enjoyment to the Bloody Mary. An expanded brunch menu is available until 3:00 pm on the weekends, and basic breakfast selections are available all day every day. 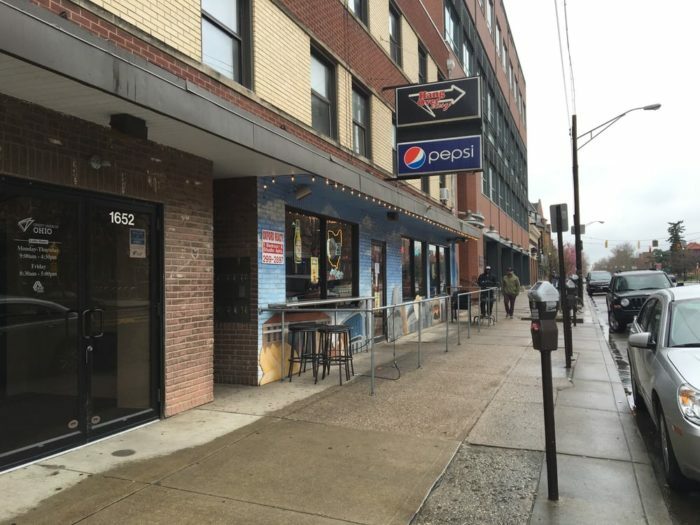 Phico Bar + Diner is located at 747 N High St., Columbus, OH 43215. The Local Cantina is a restaurant and bar that opens earlier to serve brunch on the weekends. 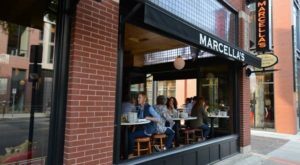 If you like your brunch with a bit of a fiery Latin flavor in it, you will love this place. 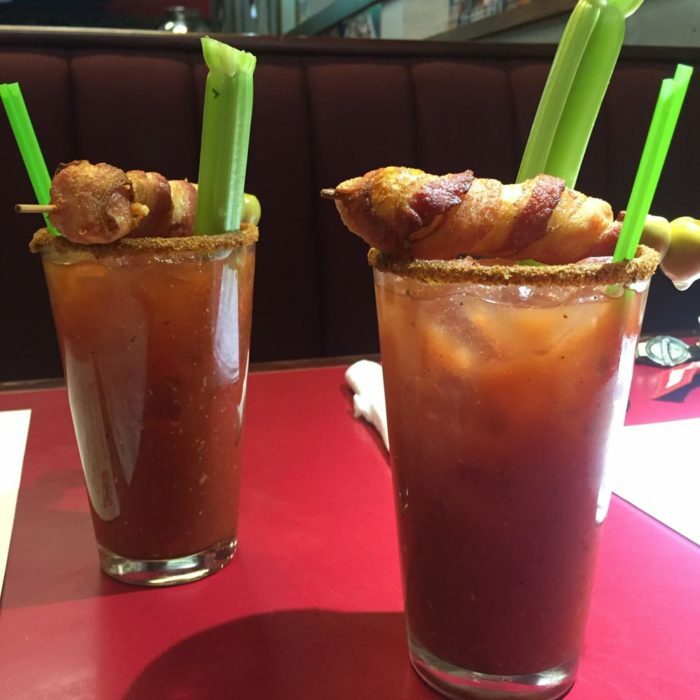 The Bloody Marys are equally Latin and totally delicious, with extra spice and and a bacon-olive-jalapeno topping. 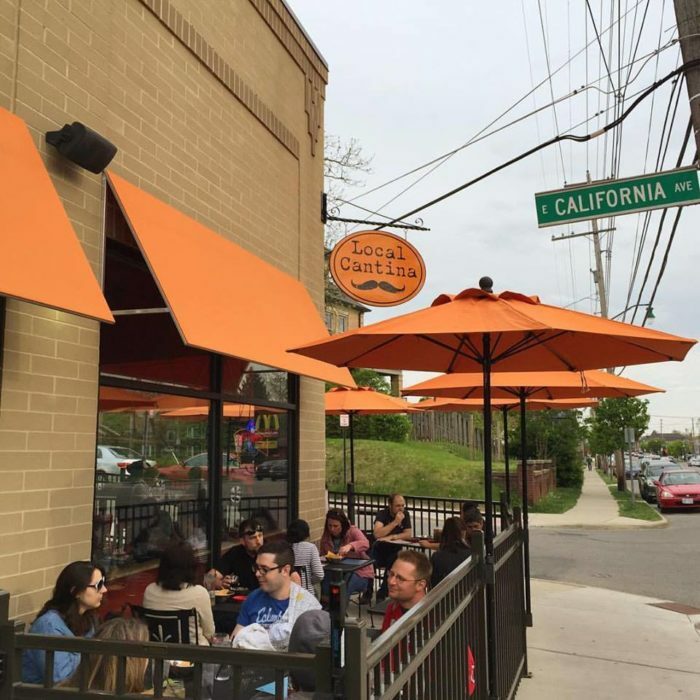 You’ll love the relaxed indoors and outdoors atmosphere at Local Cantina. 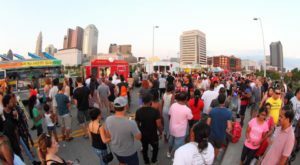 Local Cantina has five Columbus locations. Find them here. This hustling, bustling campus joint seems like it has a line 24/7, but that’s not for lack of space or service; it's because everything here, especially their Bloody Mary, is extra delicious. 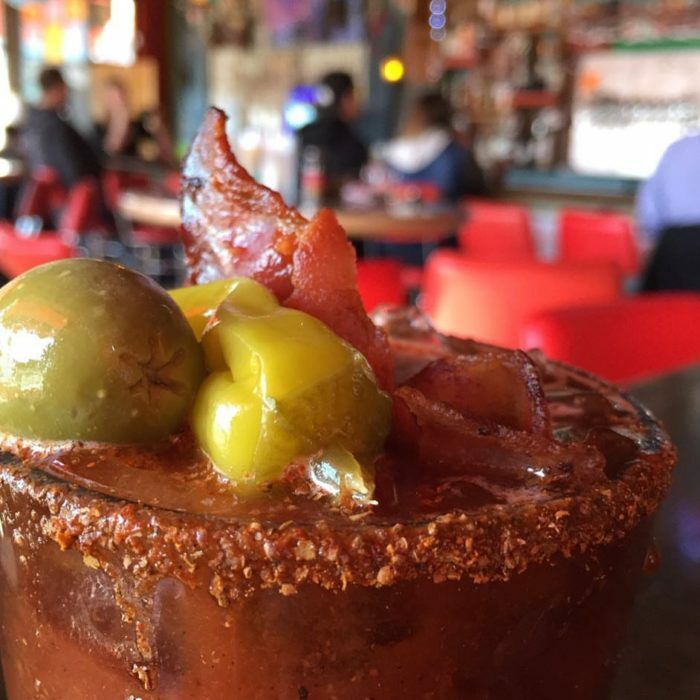 Hang Over Easy takes their name seriously and to help you ease into your morning, they give their Bloody Marys an extra kick. The zip of lemon juice will help wake you up and they use a perfect amount of Worcestershire to balance it out. Hang Over Easy is located at 1646 Neil Ave., Columbus, OH 43201. 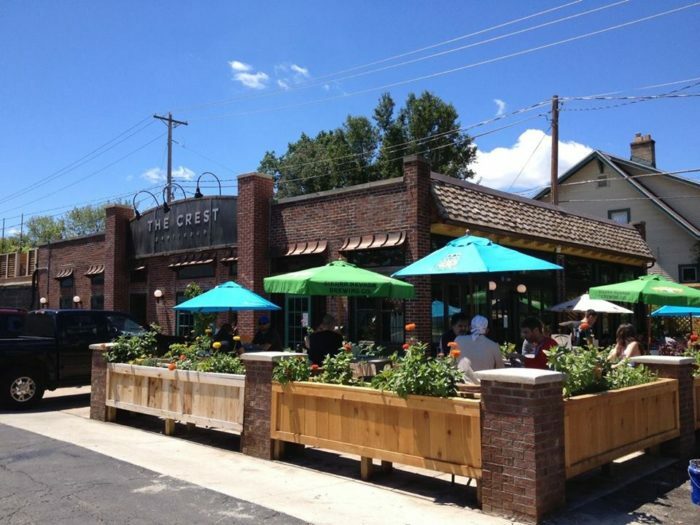 The Crest Gastropub offers new American cuisine. 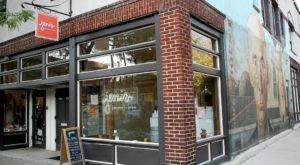 They have an incredible beer selection and an excellent menu full of local delicious eats. 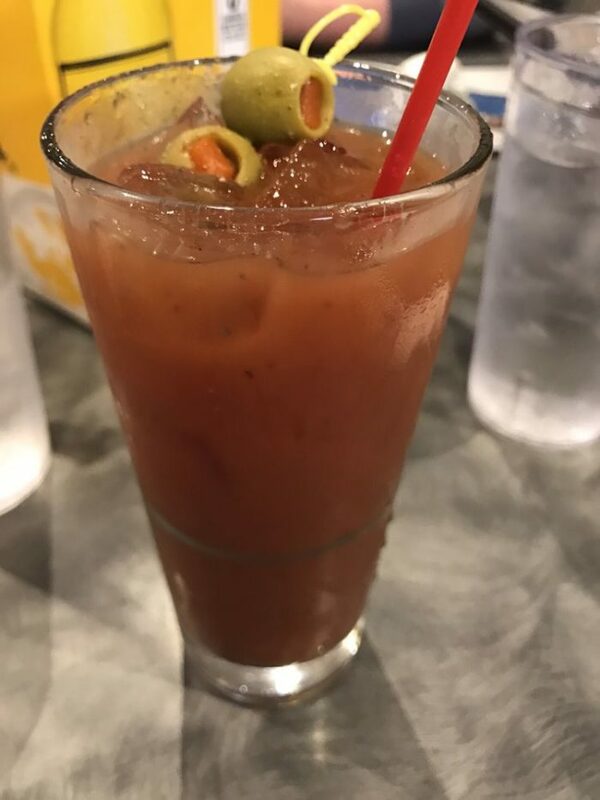 The brunch menu is no exception, and the Bloody Mary, which is made with fresh mix and house pepper vodka, should definitely be on your bucket list. 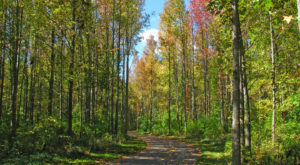 The Crest has two locations: in Clintonville at 2855 Indianola Ave., Columbus, OH 43202, and in German Village at 621 Parsons Ave., Columbus OH 43206. The Union Cafe has a fantastic all-you-can-eat Sunday Brunch Buffet that features made to order gourmet omelettes and, of course, Bloody Marys. 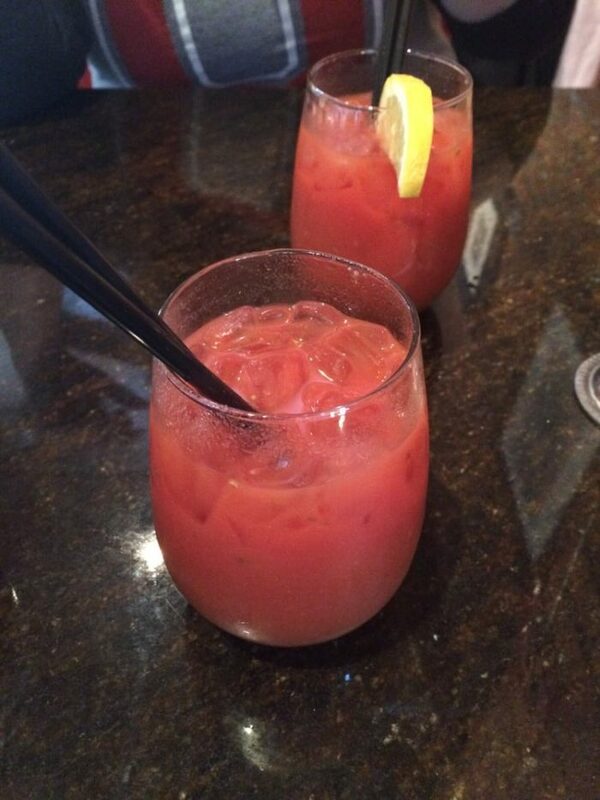 During Sunday Brunch, you can get a $4 build-your-own Bloody Mary or a $5 Svedka Bloody Mary. 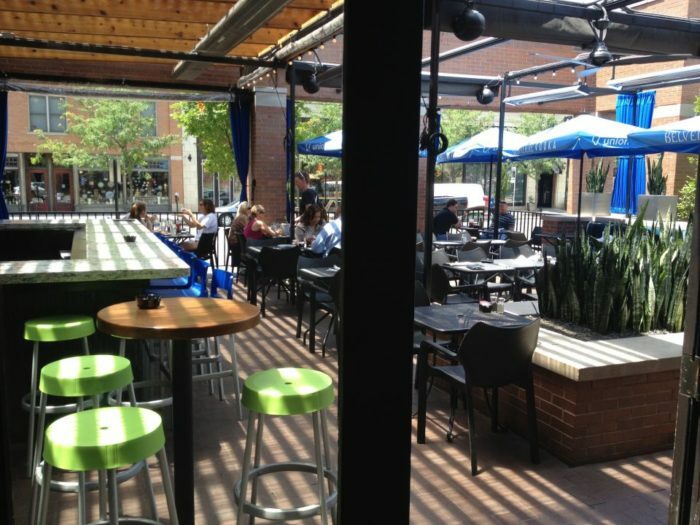 The Union Cafe also prides itself on having the best patio in town! 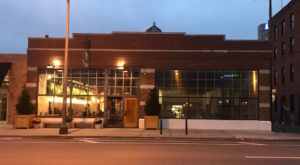 The Union Cafe is located at 782 N High St., Columbus, OH 43215. 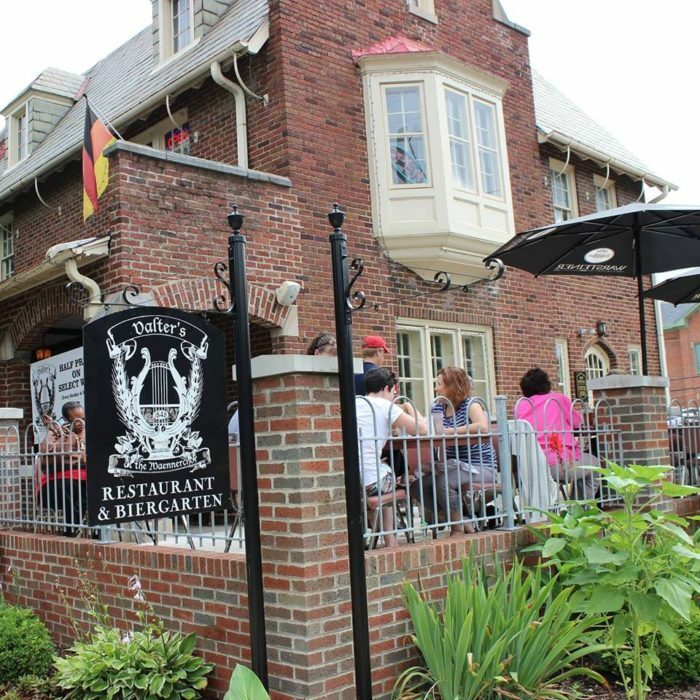 This is a great German restaurant, pub, and breakfast and brunch destination. 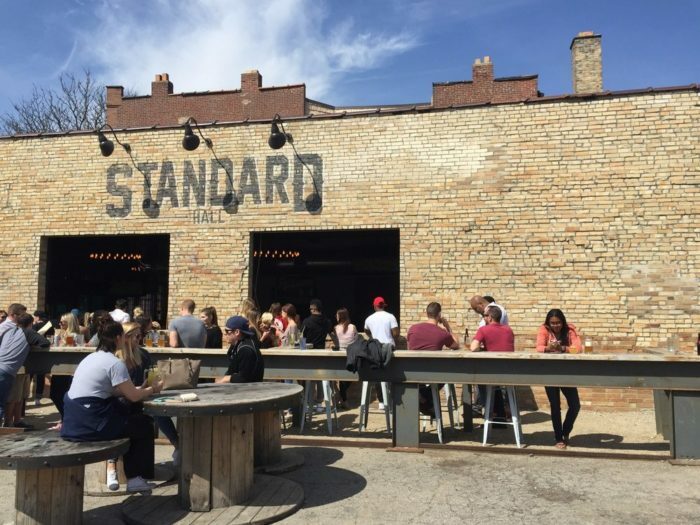 Visitors rave about their beer cheese soup, pretzel buns, the Breakfast Hangover special and, of course, the Bloody Mary. At Valters, you can expect a classic Bloody Mary with that wonderful creamy tomato flavor and a bright spicy kick. Breakfast is served weekends until 2:00 pm. Valters at the Maennerchor is located at 976 S High St., Columbus, OH 43206. This modern American restaurant is a great weekend brunch place. 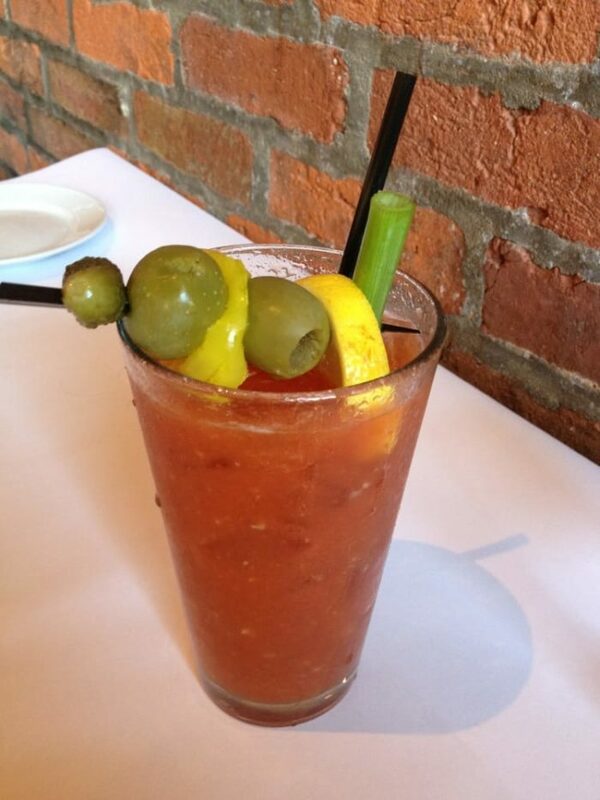 At The Pearl, you will find a classic, well-balanced Bloody Mary - not too spicy or too lemony - just perfect. 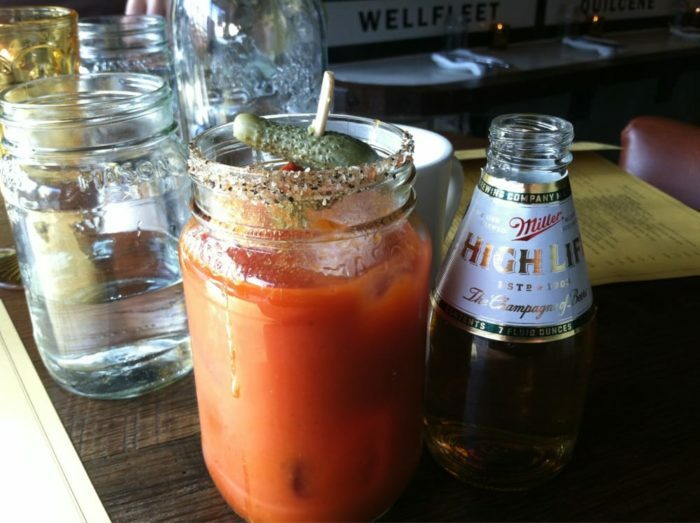 To make it even better, your Bloody Mary will always be served with a mini bottle of Miller High Life! You know how some cafes serve espresso with a small glass of water? Well, this is similar, but...better. Enjoy your beverage with meals like poached salmon in caper lemon sauce, deviled eggs, and hanger steak. 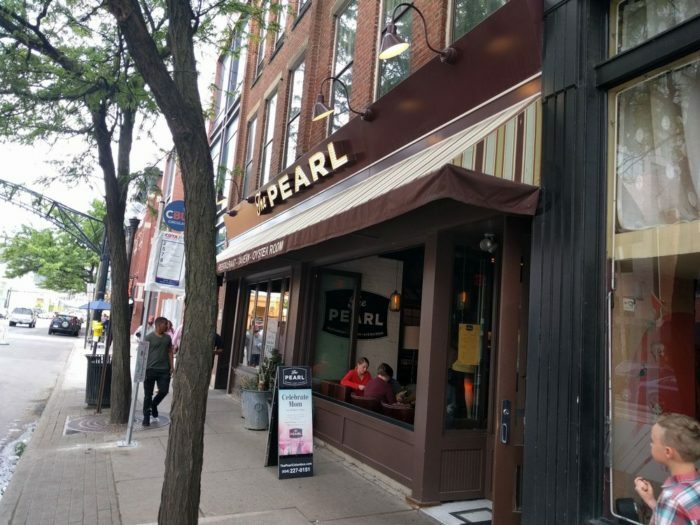 The Pearl is located at 641 N High St., Columbus, OH 43215. 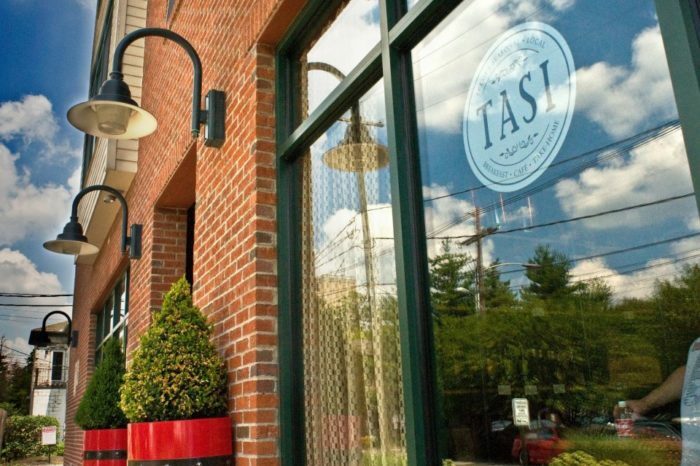 The Tasi Cafe is a great establishment that focuses on breakfast, brunch, and sandwiches. Tasi serves a Bloody Mary that is perfect for those of us who love the beverage, but don't like too much spice in our bellies first thing in the morning. The Bloody Mary has fantastic flavors without the big kick. On their menu you can also find favorites like poached eggs with black bean cake and Greek scrambled eggs. Tasi Cafe is located at 680 N Pearl St., Columbus, OH 43215. 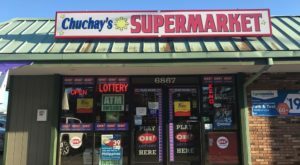 If you're wild and looking for some new flavors, you'll want to try the Bloody Mary at this place! It's actually called a Bloody Maria, and it's made with tequila and scotch. This unique recipe adds an incredibly smoky flavor to the beverage, one you're unlikely to find anywhere else. Brunch features all of your favorite dishes, like Huevos Rancheros, Bacon Fresh Toast, and Quiche. 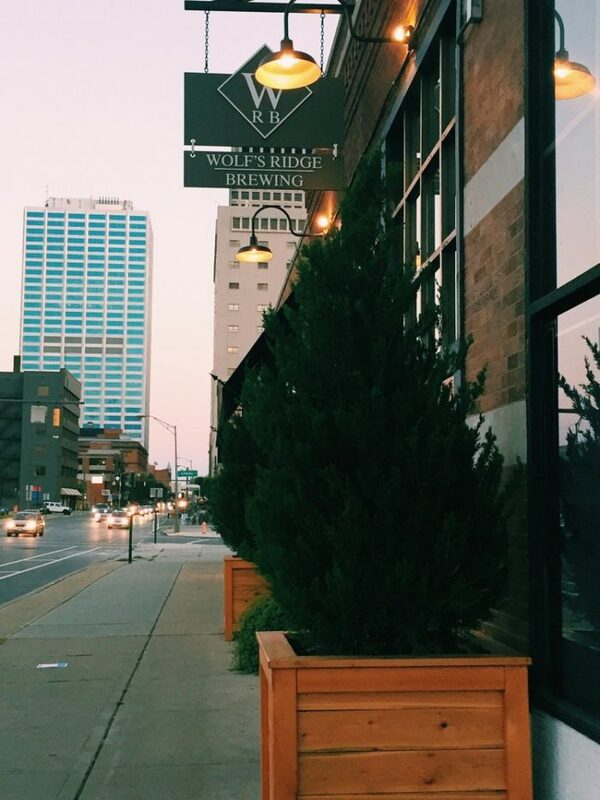 Wolf’s Ridge Brewing is located at 215 N 4th St., Columbus, OH 43215. Due Amici specializes in Italian food and has a fantastic breakfast and brunch menu. For Bloody Marys, they not only offer you the drink itself, they offer a whole Bloody Mary bar so that you can get it just how you like it. To go along with your decadent beverage, try their crab eggs benedict or steak and eggs. 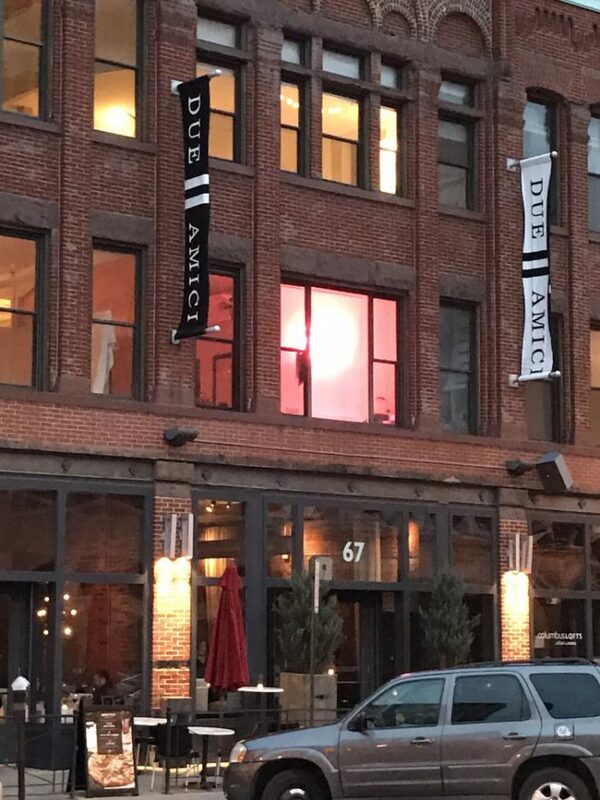 Due Amici is located at 67 E Gay St., Columbus, OH 43215. DK Diner makes a perfectly spiced and balanced Bloody Mary, but the best thing about it is the topping. It comes topped with... ready?... bacon wrapped tater tots! It's a Bloody Mary with an appetizer on the stick! You'll also want to try Dana’s Deluxe DS, the Blueberry Pancakes, the Sausage Gravy Skillet. 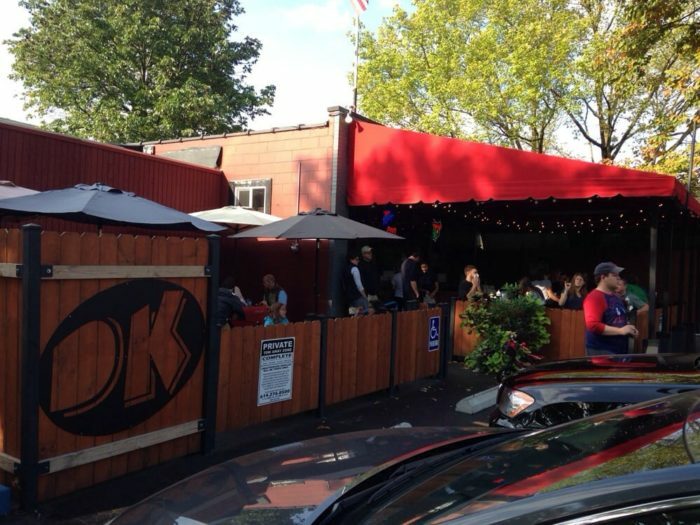 DK Diner is located at 1715 W 3rd Ave., Columbus, OH 43212. Let’s see, when is my next day off? Coming up soon! I know where I’m starting my day, how about you?